What's it with evil kids and their holes in the ground that makes us all bugaboo? This week we explore two movies with a common theme of holes in the ground and weird little kids who love them. 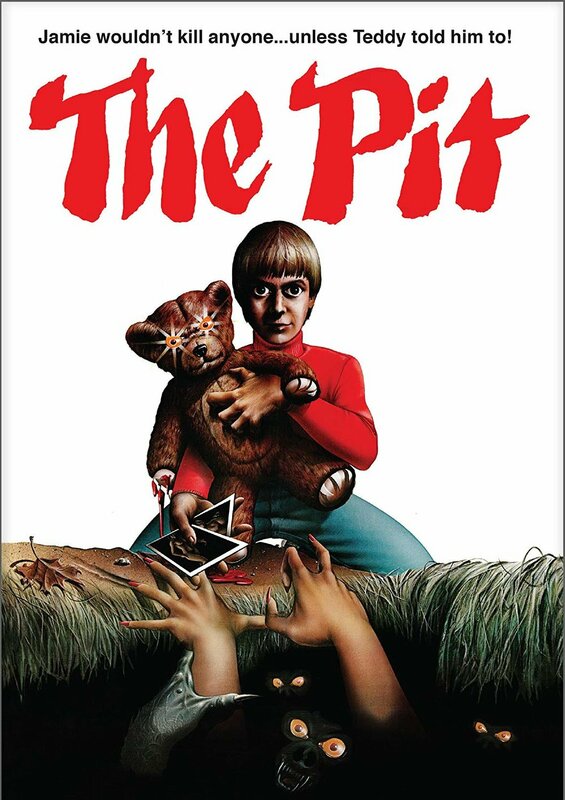 We review The Pit (1981) about a boy named Jamie who perves out on people and throws people in a pit of monsters for the sake of his teddy bear who told him to. Then we tack on a new movie called The Hole In The Ground (2019) About a mother and her son who stumble upon a giant hole and suddenly her son starts acting extremely weird. Is it her son? Find out. Plus we cover the news and a horrorshot this week! So grab your teddy, some fruit loops and be sure to bring your extremely evil child as we travel Beyond The Void! Would you like to take our “Bad Teddy” #HorrorShot? We honor the “Cherokee Creek” with a delicious shot recipe. 1. Alien 40th Anniversary Shorts are finally coming. March 29th every Friday through IGN. 2. "The Last Kids On Earth" Animated series on Netflix is coming and guess who's in the zombie show? 3. John Carpenters “Tales for a Halloween Night” for SYFY has been canceled. 5. Nightbreeds fully uncut version that NO one has seen got a “Ultimate Cabal Cut” with the teaser for us to see. No date yet other than 2019 so this year.